Sabbath By The Sea was started because we wanted a place to hang with friends, park our vans and listen to sabbath in a cool environment. When myself and Matt from Rolling Heavy put our heads together, we came to the conclusion that we should be doing this on a monthly basis at the beach. The location is Royal Palms Beach Park in San Pedro California. To say that SBS Volume 2 was a success would be an understatement. With about 20 vans there before official start time, we knew we were in for a good day clocking in just over 40 vans! The concept is easy, bring your van, post up, listen to Black Sabbath. 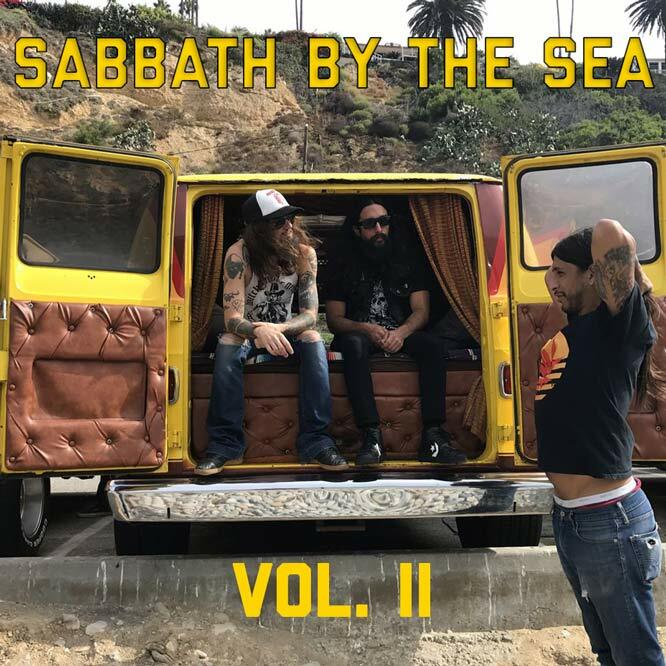 Walking every 10 feet and hearing a different Sabbath Tune with the visual of the boogie vans, and the smell of ganja mixed with the clean ocean air, is basically a recipe for a perfect morning of Sabbath Worship at it’s finest! The next one taking place is on October 15th. 8am-12-pm. As long as you come listen to Black Sabbath and clean up after yourself all are welcome! Special shouts to all the people who came and brought the boogie with them. We hope to see more of you next month. Sign up for our newsletter for news on upcoming Sabbath by the Sea events! Had a great time, can’t wait for Vol. 3!